Coaching staff at Leicester City Football Club. Brendan Rodgers joined the Club on Tuesday 26 February, 2019, signing a contract to June 2022, after winning a double of 'trebles' with Celtic, taking their tally of Scottish titles to 49. During his two-and-a-half-year spell in Glasgow, Rodgers’ side also embarked on a staggering 69-game unbeaten run – the longest stretch in 100 years of British football. The Northern Irishman won every single domestic trophy he contested in Scotland, winning every cup tie his side participated in. Following on from guiding Swansea City to becoming the first Welsh club to compete in the Premier League and establishing Liverpool as genuine title contenders, Rodgers holds a reputation as one of the game’s most respected and successful managers. After a playing career which was cut short by injury and a spell with Reading’s academy, Rodgers accepted an invitation from José Mourinho to join Chelsea as head youth coach in 2004. Within just two years, his ability to inspire the next generation led to a new position as reserve team coach – a role he also held under Avram Grant and Luiz Felipe Scolari. But in 2008, a job offer to be first team manager of Championship side Watford proved persuasive with the Hornets finishing the season in 13th-place. Following a short time with Reading, Rodgers' reputation for playing attractive football and promoting youth led to an approach from Swansea City in the summer of 2010. A Play-Off berth was secured and a two-legged success over Nottingham Forest in the semi-finals set up a showpiece final at Wembley against former club Reading. A hat-trick from Scott Sinclair, who would also follow him to Celtic, sealed a 4-2 success in London, making Swansea the first-ever Welsh club to grace the Premier League. 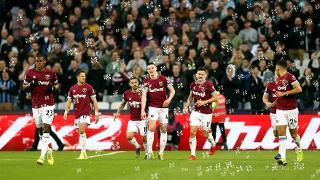 Positive results against the likes of Arsenal, Liverpool, Newcastle United, Tottenham Hotspur and Chelsea, meanwhile, enabled them to secure a comfortable 11th-place finish. Following the departure of Kenny Dalglish at Liverpool, though, an opportunity to manage 18-time champions and five-time European Cup winners Liverpool presented itself. While his first season at Anfield ended with a seventh-place finish, his second term was a memorable one as the Merseyside club embarked on a serious title challenge. Liverpool scored 101 league goals during the 2013/14 campaign, the club's highest tally since the 1895/96 season, and the third-highest in Premier League history. While Manchester City were eventually crowned as champions, Rodgers won the LMA Manager of the Year award, becoming the first Reds boss to do so in over 20 years. A sixth-place finish during the following campaign also included a run to the semi-finals of the FA Cup. The following summer, another opportunity arose in Scotland at Celtic. His first trophy was the club's 100th, a Scottish League Cup in November, while three consecutive victories over Rangers - for the first time - cemented Celtic's supremacy. In the end, Celtic, who won the league, were the first Scottish side to complete a top-flight season undefeated since 1899 with a margin of 30 points between them and Aberdeen. A 2-1 win over the Dons in the Scottish Cup final, meanwhile, sealed the treble for the fourth time in the club's history – prolonging their domestic unbeaten run for the length of an entire season under Rodgers’ management. The following term, in November, Celtic beat St Johnstone 4-0 to surpass a 100-year British record for consecutive domestic fixtures undefeated, standing at 62 matches. Later that month, a 2-0 success over Motherwell retained the Scottish League - before a defeat by Hearts finally ended a magnificent 69-game unbeaten run. Rodgers' second and Celtic's seventh successive title was sealed in unforgettable fashion, too, as a 5-0 rout of Rangers at Celtic Park extended their run of games without defeat by the Gers to 12 matches. Their unstoppable, trophy-laden march continued in May with a Scottish Cup title - via a 2-0 win over Motherwell - confirming the first-ever 'double treble' in Scottish history. The Northern Irishman's seventh and final piece of silverware at Celtic came as recently as November 2018 as Ryan Christie's solitary goal sealed a 1-0 win over Aberdeen in the Scottish League Cup Final. During a short playing career, Chris Davies captained a Reading youth team at the age of 16 coached by Brendan Rodgers. Davies also worked for Leicester City as a youth team coach between 2005 and 2007 and later joined New Zealand outfit Hawkes Bay in a similar role. After graduating from Loughborough with a 1st Class Honour's degree in 2007, Davies worked with Hawkes for two years. Aged just 25, Rodgers appointed his former player as assistant coach at Swansea City in 2010, where they would guide the Welsh outfit to promotion to the Premier League in their first season at Liberty Stadium. Davies joined Rodgers at Liverpool in 2012, and briefly returned to Reading as a first team coach in January 2016, before linking back up with his former youth coach at Celtic the following summer. In their first season, Celtic won the domestic treble for only the fourth time in the club's history and would go on to break the Scottish side's own 100-year record for successive domestic games unbeaten, going 69 matches without defeat. In all, Davies was at Celtic Park for two-and-a-half years, winning every single major domestic competition entered. In February 2019, he accompanied Rodgers to Leicester as his Assistant Manager. Former Arsenal, Manchester City, Liverpool and Celtic defender Kolo Touré was a trusted member of Brendan Rodgers' backroom team at Celtic Park from 2017. Brother to Manchester City legend Yaya Touré, Kolo's playing career was a hugely successful one, with two Premier League titles, two FA Cups and an Africa Cup of Nations success, with the Ivory Coast in 2015, to his name. Touré began his career at Ivorian club ASEC Mimosas in 1999, before sealing a move to Arsène Wenger's Arsenal three years later, where he scored nine goals in 225 appearances. His place in Arsenal folklore was confirmed by his presence among the squad of players which completed a famous 'Invincible' season in 2003/04, while he also helped Man City, in 2011/12, win a first top flight title in 44 years. Touré is the second-most capped player for the Ivory Coast and his final playing honour was a Scottish Premiership triumph with Celtic, under Rodgers' management, 2016/17. Following a spell coaching his country's youth teams, Touré returned to Scotland to work with Rodgers as a technical assistant in September 2017. In February 2019, he joined the Northern Irishman at Leicester as First Team Coach. Glen Driscoll has worked alongside Brendan Rodgers in a number of roles for over 10 years. The pair met at Chelsea, where Driscoll was tasked with working alongside managers such as José Mourinho, Guus Hiddink and Carlo Ancelotti in areas including physiotherapy, fitness and conditioning and injury prevention. Following nine seasons at Stamford Bridge, Driscoll headed to Swansea City in 2010, to work with Rodgers, as the Liberty Stadium club sealed promotion to, and then secured safety in, the Premier League. Like Chris Davies, Driscoll followed Rodgers to Liverpool in 2012 where, in their second season, the Reds finished in second-place in the top flight. Meanwhile, for the past two-and-a-half seasons, Driscoll has worked as Head of Performance at Celtic, helping the Bhoys to win seven successive domestic trophies. Goalkeeping coach, Mike Stowell, enjoyed a successful playing career before hanging up his gloves and concentrating on coaching. The former Wolves stopper began his career at Preston North End but ended up making a name for himself after impressing in non-league football. Mike was soon snapped up by Everton and spent the next five years at Goodison Park. During his time with the Toffees, Stowell spent time on loan at several clubs, including Manchester City, Port Vale and Wolverhampton Wanderers. After impressing at Molineux, Mike was snapped up by Wolves on a permanent deal in 1990 by manager Graham Turner. Stowell went on to spend over ten years as the West Midlands club's number one, making over 400 first team appearances. During his time at Wolves, Stowell was part of the team that won the 1988/89 Football League Third Division title and was also called up to the England B squad. In 2001, Mike left Molineux and signed for Bristol City, spending the next four seasons at the club before hanging up his gloves and taking a role as Leicester City's goalkeeping coach in 2005. During his time at King Power Stadium, Stowell has also acted as Assistant Manager and caretaker manager. Alongside Adam Sadler, Stowell assumed responsibility for the First Team in a 2-1 win over Brighton & Hove Albion in February 2019 following the departure of Claude Puel. Newcastle-born Adam Sadler joined the Foxes as a tactical analyst in 2014 and has become a valued part of the First Team setup over the last four years, increasing his coaching responsibilities in the last 12 months. Having been on the books of Manchester United as a young player, he turned to coaching aged 20 and worked for over eight years at Newcastle United in a number of coaching roles, including reserve team manager. Following spells with Norwich City and Plymouth Argyle, he spent two seasons as Under-18 coach at Manchester City before joining Leicester following the Club’s promotion to the Premier League. Following the departure of Claude Puel in February 2019, Sadler and Mike Stowell oversaw a 2-1 win for the Foxes in the Premier League ahead of Brendan Rodgers' first game for the Club. Paul, aka Macca, joined the Club in June 1996, following a two-year spell as the First Team’s coach driver. Macca was offered the job by then manager, Martin O’Neill, whilst working at Euro ‘96 for the Germany team. As part of his responsibilities as Kit Manager, he has to ensure that all kit and necessary equipment is ready for training, as well as First Team matches. Macca’s badge of honour is that he hasn’t missed a First Team game since joining the Club. Jon has served Leicester City in a number of roles since first joining the Club in 1999, and currently holds the position of Player Liaison Officer, which he took on during the summer of 2014. Educated locally at de Montfort University between 1993 and 1996, Jon first joined the Club as Website Co-Ordinator in 1999 before progressing to the position of Head of Media in 2006. After a spell as Club Partnership Manager and Head of Marketing and Commercial Operations for the Football League from 2009 until 2014, Jon returned to Leicester City in his current capacity, which predominantly sees him provide off-the-field support to the players. Jon acts as a communication link between the squad and management, while his duties also include, but aren't limited to player relocation and integration, away travel co-ordination, player support, player appearances and administration.